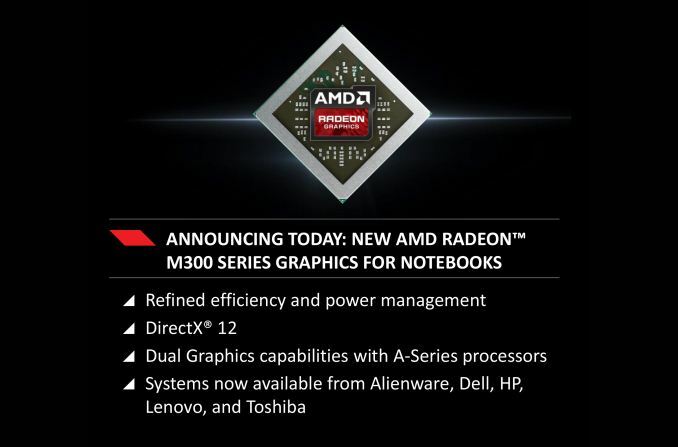 nVidia has never come close to the crap AMD is pulling, it's a mountain to a molehill. And AMD keeps doing it every single time over a very wide swath, after swearing to us all it would never. Come on, nvidia is every bit as guilty as AMD may have been on the subject. Especially on OEM-oriented products. The G92 GPU (I'm talking the GPU itself, not the G92 family) was used on products of the 8000 (mid-high end), 9000 (mid to high-end), 100(OEM filler series) and 200 series (yeah, the G92 made up the core of the GT 230 to GTS 250 entry-level-to-mid-end models). Many entry-level models in the nvidia 700 series are made with the GF108 GPU dating back from the 400 series! Most of Nvidia's rebrands of this scale have been on lower end stuff. Your first sentence makes no sense at all. A rebrand in the low end is not a "rebrand of this scale" because "this scale" is that of just about the entire product lineup. And that was pretty much the crux of my post you replied to. Face it, it's a whole lot bolder to rebrand an entire generation than to carry over some previous generation cards because they are still relevant to a targeted market segment, but to update the name to make them sound current. OEMs probably demand a certain amount of rebranding because they don't want to be selling systems with old-sounding names. So what if the chip filled a higher-end purpose in the previous generation? The ill-informed consumer will be turned off by something that sounds old. But that whole argument goes by the wayside if the entire new lineup is just a rebadge of the old one. In this case the OEMs still don't want to be selling something that sounds old, but there hasn't been any shift in the market segments targeted by the same cards in the new naming scheme. G92 isn't really a relevant comparison because for whatever reason, there were a ton more product line changes in a compressed period of time. G92 launched in Nov 2007 as the 8800GTS 512 and 8800GT, which was quickly die-shrunk to G92b and rebranded to the 9800GT and 9800GTX in March or so 2008, but Nvidia launched its next flagship and named it GTX 280 in June 2008 because they ran out of numbers, and so the G92 was rolled into that stack as GTS 250. In any case, we are talking about 4 rebrands in less than a year for G92 while its performance and feature-set were still very relevant.